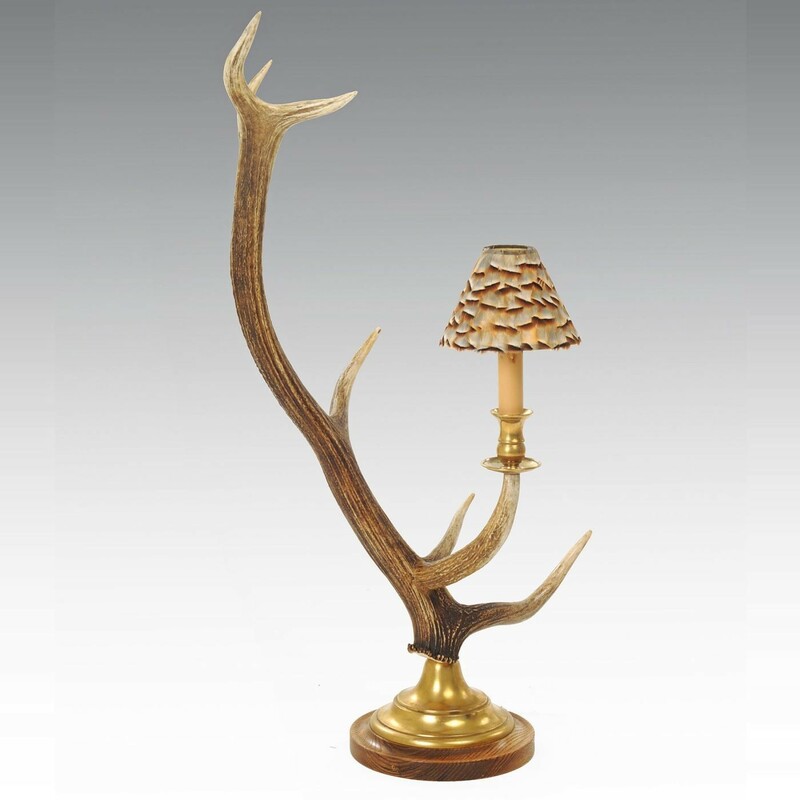 The natural curve of a Red Deer Antler makes a very attractive lamp. The fittings can be nickel or antique brass. The partridge feather shade is optional.